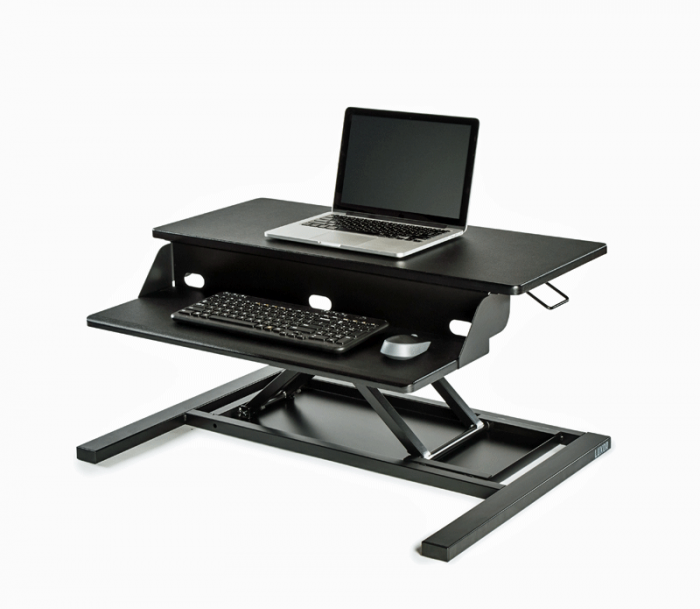 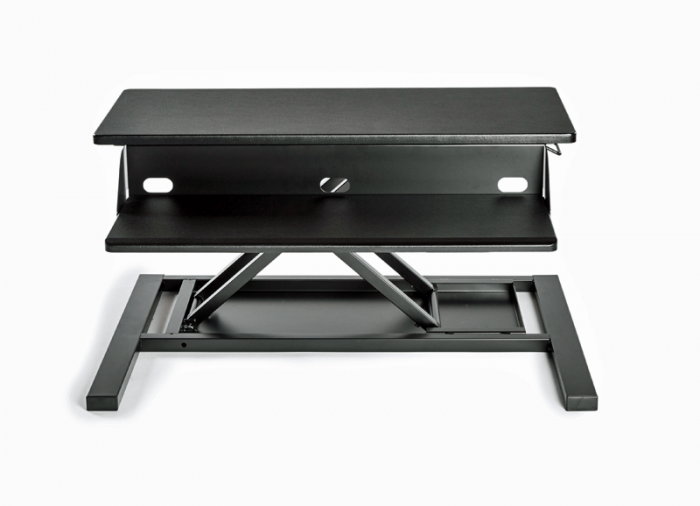 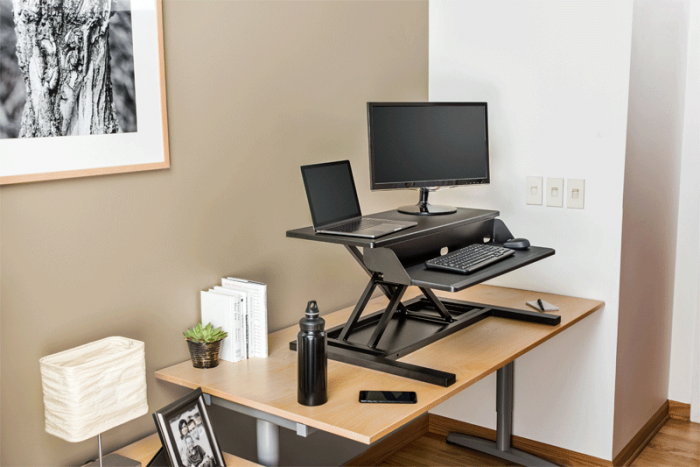 Convert your existing desk into a standing desk with the affordable Level Up Pro 32 from Luxor. 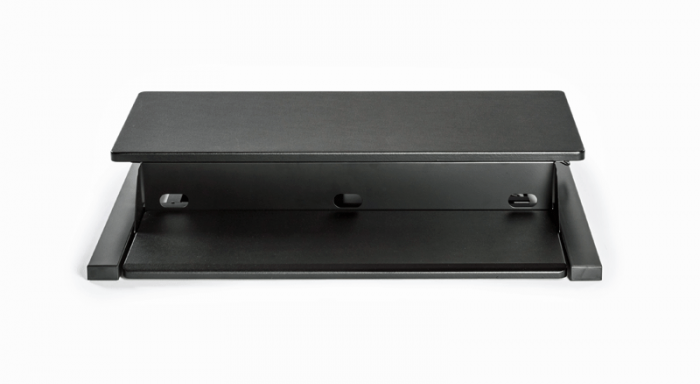 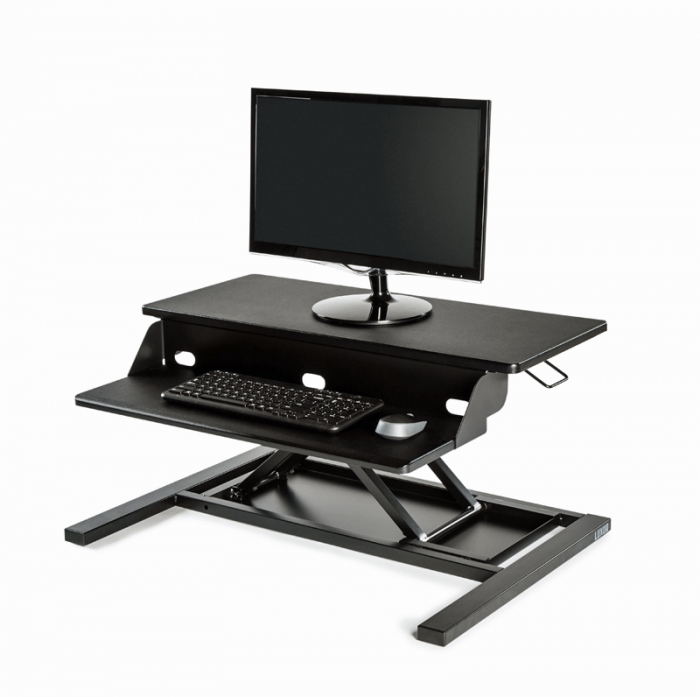 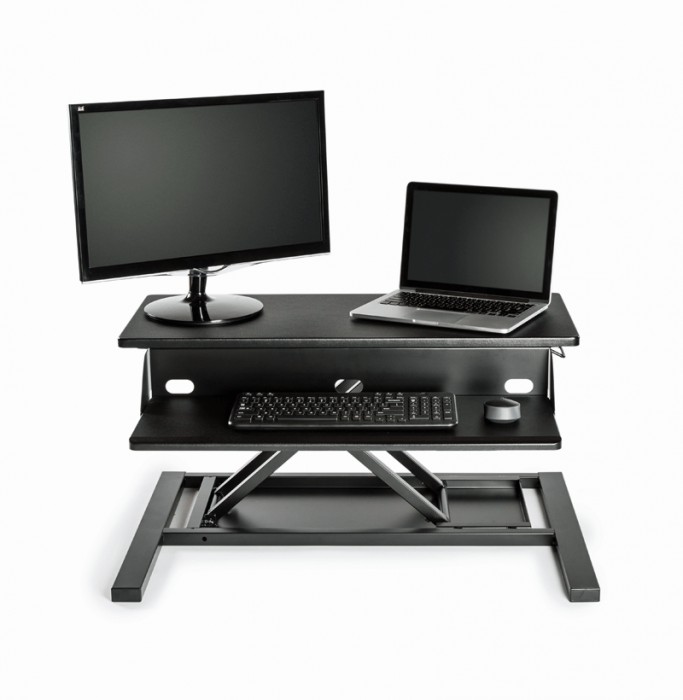 This standing desk converters’ ergonomic two-tier design offers a spacious 32-inch wide top shelf for single or dual-monitors and a second shelf for a keyboard and mouse. 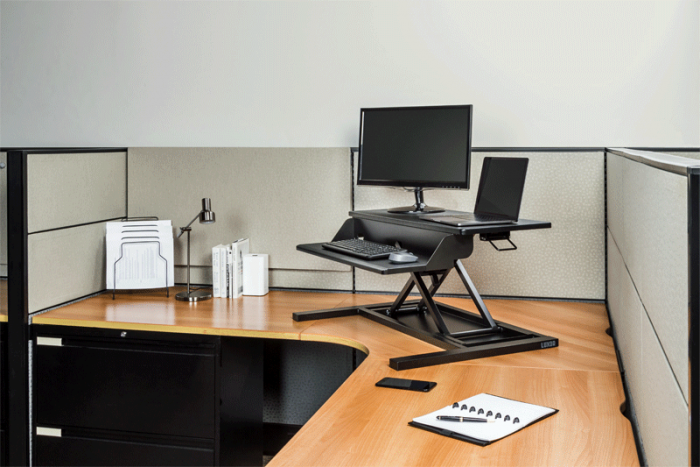 With zero assembly required, users can simply place the desktop converter on any surface and enjoy the flexibility of sitting or standing throughout the workday. 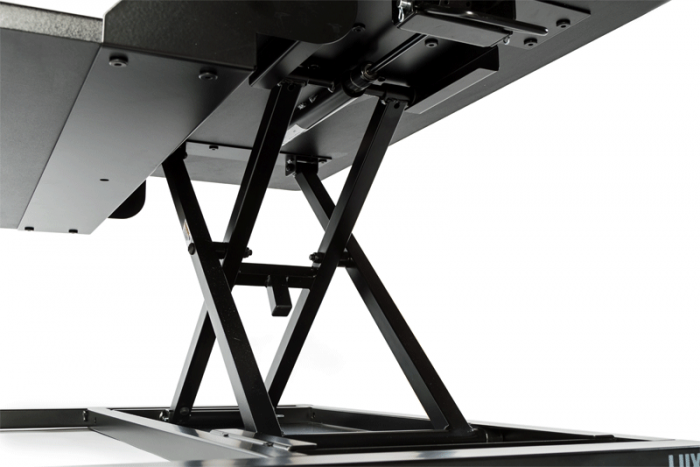 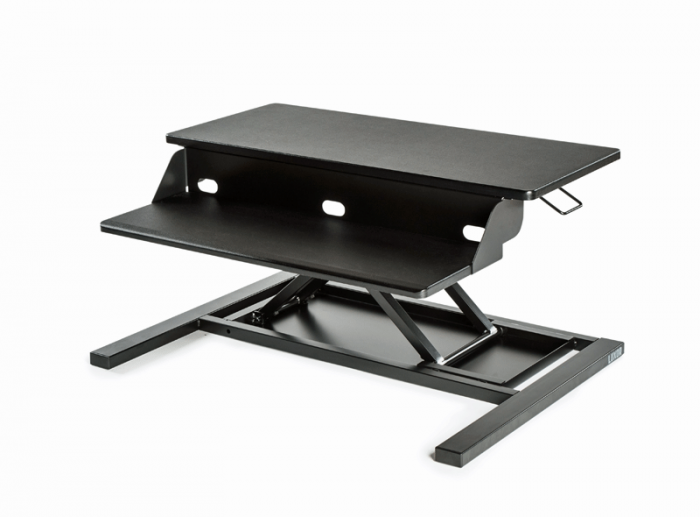 With a sturdy steel frame and pneumatic air cylinder, this sit to stand desk smoothly and effortlessly adjusts to its maximum height of 15.5″ in seconds, while a spring-loaded bumper allows gentle lowering. 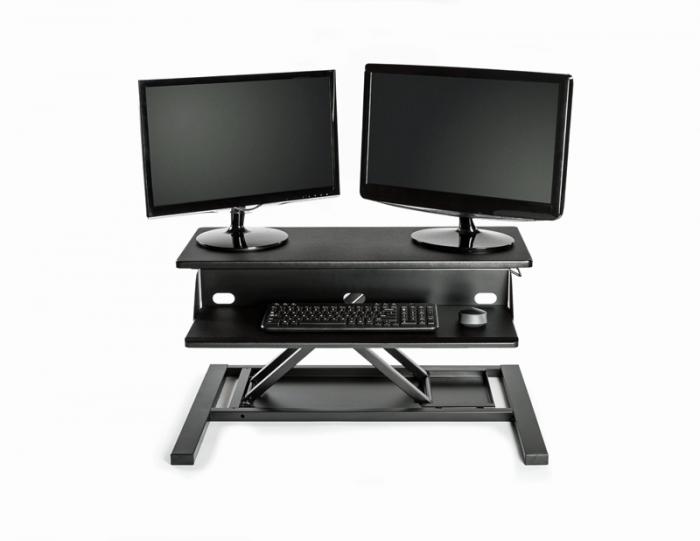 Deliver a high-quality, affordable solution and change the way your customers work with the Level Up Pro 32 Standing Desktop Converter.